On the History Channel's hit series Pawn Stars, the folks at the World Famous Gold & Silver Pawn Shop in Las Vegas rake in the big bucks with savvy purchases. Each episode depicts the shop's staff meeting regular folks with interesting items to sell, and outside experts who appraise these artifacts. Sometimes the stuff people bring in isn't worth very much at all, but on several occasions the Pawn Stars have struck gold. Let's take a look at some of the diamonds in the rough that have brought the biggest payouts. When a woman looking to earn cash for an upcoming move brought this 17th century ship's bell into the shop, she wasn't sure what to expect—she'd actually been considering putting it out in a yard sale. The late Richard "Old Man" Harrison thought the bell had to be a reproduction, because it showed no signs of corrosion from seawater. However, the expert they brought in confirmed that it was indeed a shipwreck bell from 1602, and was worth at least $15,000. The Harrisons quickly struck a deal with the bell's owner. In 1715, a Spanish fleet carrying millions of pesos worth of gold and silver left Cuba on a trip to Spain, but was hit by a hurricane and sank to the bottom of the ocean off the coast of Florida. Lucky customer Jody inherited an exceptional gold coin from this shipwreck, and was looking to earn $2,000 for it. At first, Rick Harrison thought the coin was in too good of a condition to be genuine, but the expert confirmed that it was an Eight Escudos coin minted in Lima, Peru, and was worth a cool $18,000. Given that Jody originally only wanted $2,000 for the coin, he was quite pleased to walk away with the $11,000 that Rick ended up offering. 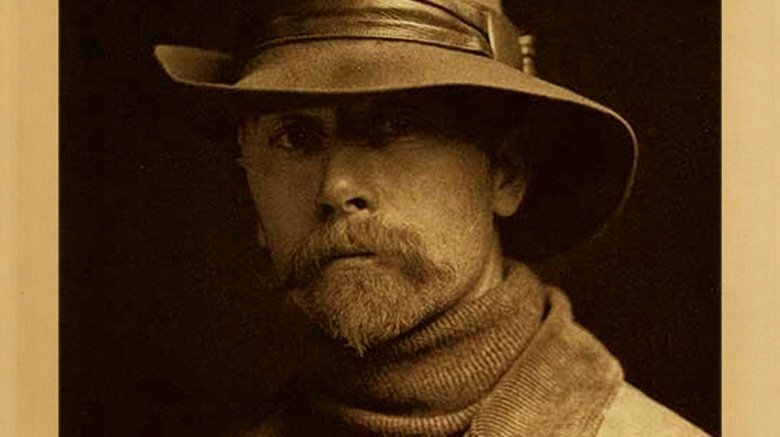 One of the biggest profits the Harrisons have ever turned came 20 years ago, when a woman walked into Rick's shop with four sets of photogravures by famous American photographer Edward Curtis. Harrison didn't know much about this early photographic process, which used copper plates and gelatin paper with an etching process to create prints. But as the woman was only asking $50 for the entire collection, he took a chance on the purchase. After doing some research of his own, he found the photogravures were worth a bundle, and ended up selling them for $20,000. 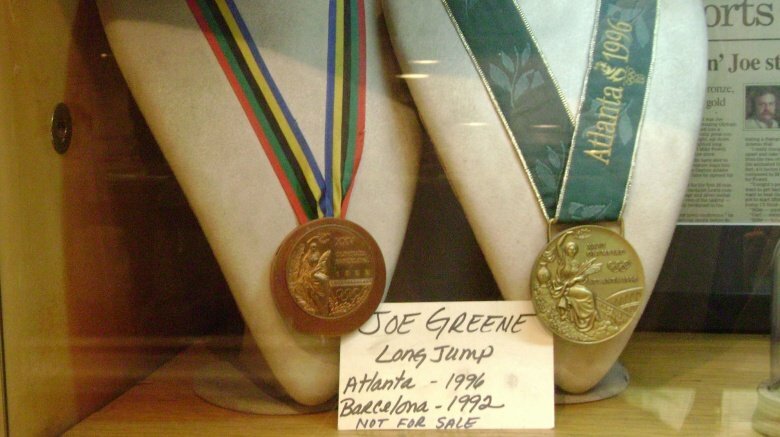 When Olympian Jumpin' Joe Greene came upon hard times in the late '90s, he needed money, and fast. He ended up turning to the Harrisons' shop, selling them his Olympic bronze medals from the 1992 and 1996 games. While the long jump star regrets his decision, Rick assured him that he would never sell the medals in case Greene ever wanted to buy them back—despite their $30,000 value. A very lucky yard sale fanatic picked up this medal for only 75 cents. Rick knew the heavily enameled medallion might be of interest, and took a chance on it for $6,000. Expert Craig Gottlieb later told Rick that the medal dated back to the era of Tsarist occupation of Poland, and was actually worth much more than he had paid. Both the original purchaser and Harrison made excellent profits from the item, with Rick eventually selling the medal for $30,000. Adam got more than he bargained for when he brought in his 5th edition copy of the Book of Mormon printed in 1842. This edition was the last one printed while the religion's founder, Joseph Smith, was still alive. Expert Rebecca Romney surprised both Adam and Rick when she appraised the book at $40,000. Rick and Adam finally settled on a purchase price of $24,000, and both walked away happy with the transaction. Talk about treasures in the attic! When one man was cleaning out the belongings of his grandfather after his passing, he found this gold bar hidden away in a box. Unsure of its worth, he took it into the Pawn Stars to find out more. Its melt-down value alone turned out to be $24,000, but when an expert confirmed it was from the 1554 Spanish shipwreck off Padre Island in Texas, that price doubled instantly. Rick managed to purchase the bar for $35,000, even though it's actually worth almost $50,000. Like Joe Greene, former Patriots defensive back Brock Williams hit a hard patch and turned to the pawn shop for fast cash. The rookie had been plagued with injuries that forced an early retirement, so he decided to pawn his 2001 Patriots Super Bowl ring for a modest $2,600. Even though he had 120 days to reclaim his ring by repaying the loan, he never came back for it, and the ring became the property of the shop. While similar rings have sold for around $30,000 on auction websites, Rick isn't ready to let go of his favorite item any time soon, which is why he's set the sale price on this beauty to a whopping $100,000. Rick and the Old Man were blown away when a customer walked into their shop carrying suitcases full of silver that he'd been hoarding in a storage unit for almost a decade. The Harrisons don't typically deal in this much silver at once, and when they weighed it out, they found it totalled a whopping 3,300 ounces. They purchased the silver for $110,000, and managed to parlay that into even bigger profits. 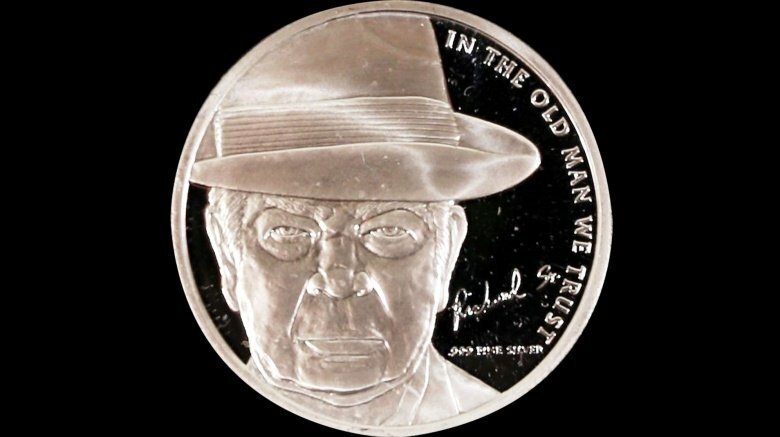 One of the unique ways they have cashed in is with custom-minted $70 silver coins featuring a portrait of the elder, since dearly departed Harrison with the inscription, "In the Old Man We Trust." The biggest payout in Pawn Stars' 12-season run belongs to a piece of presidential history. 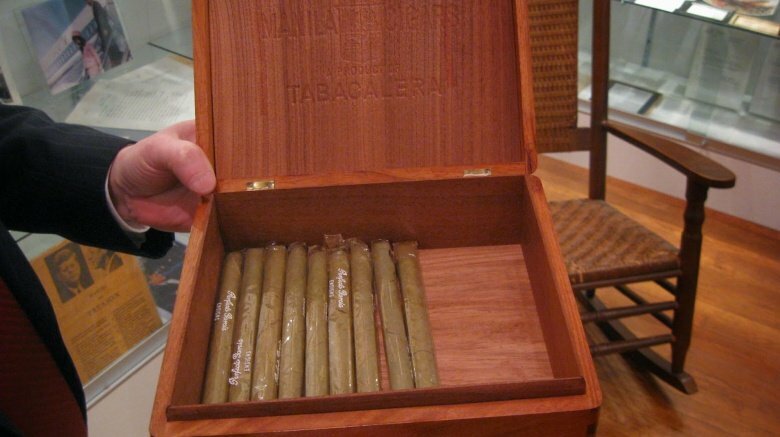 A seller walked into the shop with the box of cigars that once sat on John F. Kennedy's desk in the Oval Office. This seller was no dummy, asking $95,000 for the box. After some haggling, Rick managed to purchase JFK's cigar box for $60,000. Harrison definitely made a good purchase on this one-of-a-kind item—a similar JFK humidor was purchased by the publisher of Cigar Aficionado in 1996 for a massive $575,000 during an auction at Sotheby's. Whenever a musical instrument owned by a famous musician makes its way to the marketplace, you know there's going to be a big price tag attached, and that was definitely the case when a Pawn Stars customer walked in with a 1941 Gibson SJ-200 guitar owned by Stephen Stills of Stills Crosby and Nash. It even came complete with a receipt and the rock star's signature. Salivating over the gorgeous piece, Rick Harrison put on the brakes and stopped himself from instantly claiming it for his own. He brought in an expert to make sure the instrument was authentic — and to ask that harrowing question: what's it worth? As a classic musical instrument alone, the vintage piece was worth $75,000-$90,000, but with the previous celebrity owner attached, the price shot up another $20,000 or more. As you can imagine, this left Harrison satisfied when he was able to take it off the previous owner's hands for a meager (yet still staggering) $85,000. 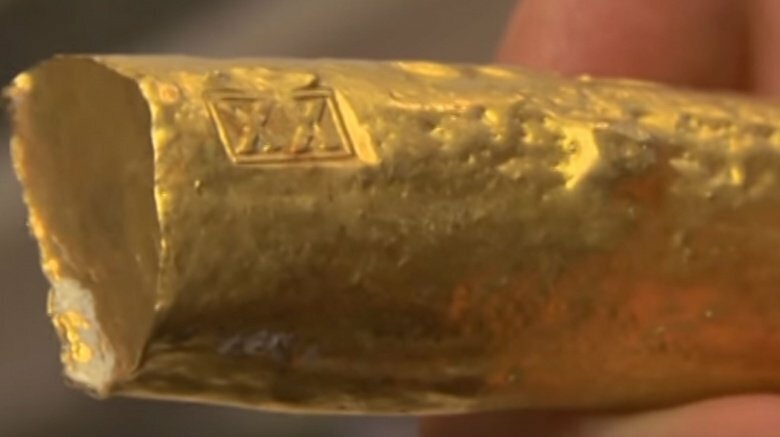 While the Pawn Star crew love to see instruments with famous fingerprints walk through the door, sometimes it's the quieter pieces that can unexpectedly blow you away. When an elderly gentleman came into the shop with a 1961 Fender Strat — one of the most iconic rock guitars — he quietly explained that he was the musician Vic Flick. Rick Harrison wasn't initially impressed by the revelation, but his attitude changed when the expert he called in showed a bit more reverence in the presence of the illustrious studio musician who is famous for recording, among a host of other popular works, the original James Bond theme song. After settling the guitar's worth at "easily $60,000 – $70,000," Harrison was able to get it for a whopping $55,000. Flick certainly seemed satisfied with the deal — he walked out with the money in his back pocket and plans to take his wife out for "a beer or two and celebrate the occasion." Guitars are hot in the pawn world, especially when they go back to the dawn of the rock era. When a customer walked in with a gorgeous 1961 Gibson SG Les Paul Custom guitar that belonged to his Aunt Mary, Rick Harrison's antenna went up — and they went through the roof when the customer calmly explained that his "Aunt Mary" was none other than Mary Ford, the wife of Les Paul. In other words, not only was the piece a Les Paul, but it was owned by Paul's wife, a famous musician and songwriter in her own right. When the guitar expert showed up and confirmed everything, throwing out a $150,000 minimum value with hints of a much higher selling price at auction, Harrison had to practically shoo him out of the store before he said too much. With no concerns about being able to sell the piece if he could get it, Harrison and the customer dove headlong into haggling over a buying price. They swung up as high as a quarter of a million before the savvy pawn shop owner talked his way down to a mere $90,000 price tag. 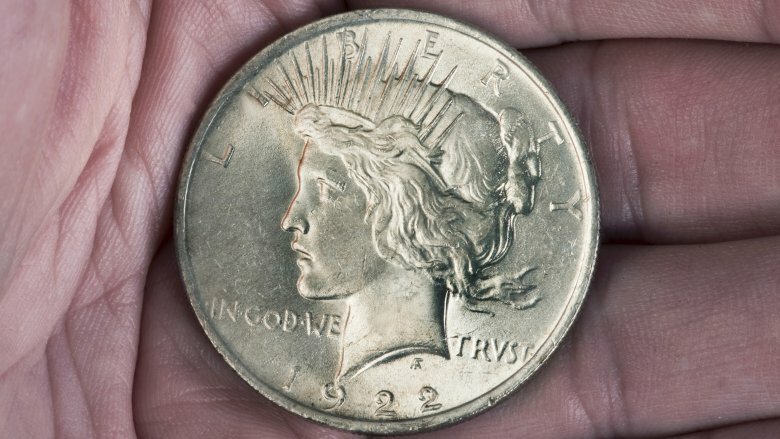 Not all deals take place inside the Gold & Silver Pawn Shop, and when Rick Harrison headed to one of the biggest coin auctions in Florida, he wasn't just going for fun — he was looking for a 1915 San Francisco Panama Pacific Octoganal Gold Piece for a customer back home who was willing to pay a staggering $70,000 for one in good shape. The coins were minted at 90% gold, 10% copper and were created in honor of the opening of the Panama Canal. Two coins located at the show, but one proved a dud, leaving the Pawn Star to face down a seller looking for $70,000. Harrison came back with $65,000, then $66,000 before the owner finally offered $67,500 "as a courtesy," leaving Rick in a tight place. After hemming and hawing in a brief moment of agony, he accepted the deal, uttering the maxim "making a little money is a lot better than making no money." The Gold & Silver Pawn Shop lies just a couple of miles from the Vegas Strip, which means there's a heck of a lot of gambling going on just down the road. So it was no surprise when a man walked in one day looking to sell a coin he had won in a poker game. What did come as a surprise, though, was that it was one of only a dozen or so 1922 High-Relief Proof Coins, instantly making that one shiny piece of metal worth a boatload of cash. With such a high-stakes valuable on the table, of course, Rick Harrison had to call in the professionals. When the expert arrived, he deemed the piece authentic… and valued the single coin between $50,000 and $100,000. The customer, who had originally hoped for $20,000, settled with Harrison on a new selling price of $80,000. The question is, did he head right back to that poker table for round two? When a man dressed in a suit comes into a pawnshop, you can bet he's looking to do some serious business. And in this case, the sharply dressed customer wanted to pawn diamond earrings. Rick Harrison did his homework and asked all the right questions, and the customer was just as ready with his responses, delivering the right answers and even producing a receipt. Harrison was sold on the jewels and took them off the guy's hands for a cool $40,000. That would have been the end of it if the cops hadn't shown up three days later. Turns out, while they were legit diamonds, they were also stolen diamonds. The story had a good ending for the victim, as she got her valuables back, and justice was served when the criminal was caught and packed off to jail. But the pawn shop was stuck in the middle of the whole mess. Duped by the crook, the crew was out $40,000 and there was nothing they could do about it. Ah, the perils of owning a pawn shop. 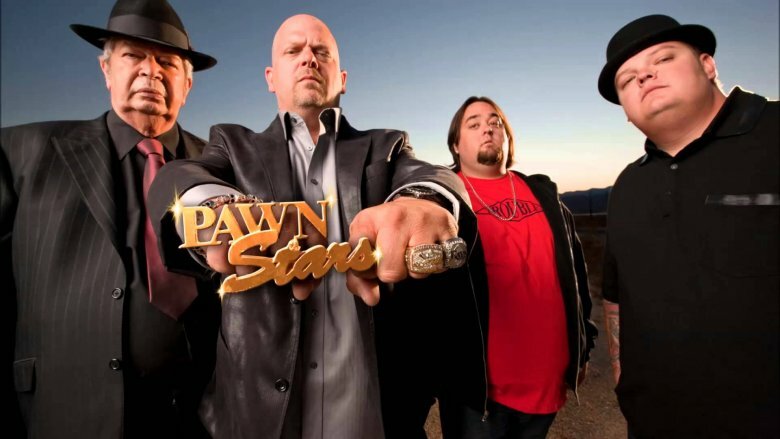 While coins and diamonds are commonplace for the Pawn Stars crew to deal with, not everything that's bought and sold at the Gold & Silver is small. Case in point: a rare 2014 Hertz Penske GT Mustang that a customer drove down to the shop one day for a high-stakes deal. The car came from Hertz's "Rent-A-Racer" program, which partnered up with Roger Penske in 2014 to create 150 of these limited edition vehicles. Not only was the car one of those 150, it was one of the first ten built, was a six-speed manual, and had never been rented, leaving it in pristine condition. The seller was asking $85,000 with a private threshold of $60,000 as his lowest acceptable offer. Harrison brought in an expert, NASCAR driver Joey Logano, who helped him take the car to a racetrack to test drive it at high speed. All said and done, Logano valued the car at around $75,000. The Pawn Star took everything into consideration and offered $60,000, sticking to his guns through a series of counter offers. The customer finally caved and dropped to his lowest acceptable price. When Rick and Corey "Big Hoss" Harrison headed across town to check out a jet-black 1932 Model B Ford Roadster, it was instantly apparent that they'd found a gem. Designed by Henry Ford's son Edsel, this gorgeous hunk of a car had 500 horsepower and a unique combo of folding convertible top and roll-up windows, making it a vehicle for all weather conditions. The only problem: the owner was asking the steep price of $105,000 for it. As always, the Pawn Stars called in an expert, who declared that he "loved it" and proceeded to lay out all the reasons the car was freaking amazing — then inadvertently did the Harrisons a favor by putting the value between $70,000 and $75,000. Knowing they had their work cut out for them to get the owner down to a reasonable selling price, the pawning experts went back and forth with him over the total until they whittled their way down to $68,250 — a heartbreaking sale for the proud owner.